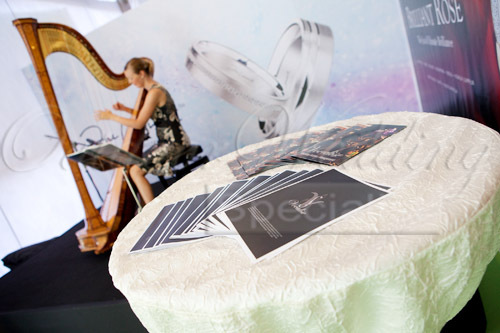 This year’s BOWS Blissful Outdoor Wedding Show (BOWS) 2010 was held at the newly refurbished Dhoby Ghaut Green above Dhoby Ghaut MRT station. 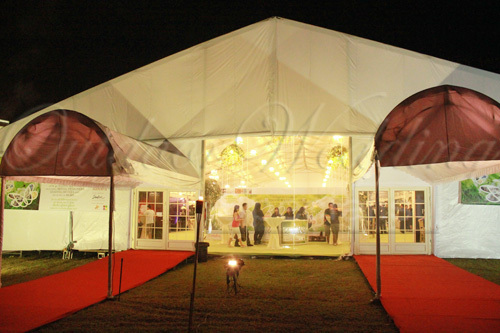 Easily accessible to the city crowd, this specially erected air-conditioned tentage was the housing venue for the 38 wedding merchants including wedding planners, bridal designers and much more. 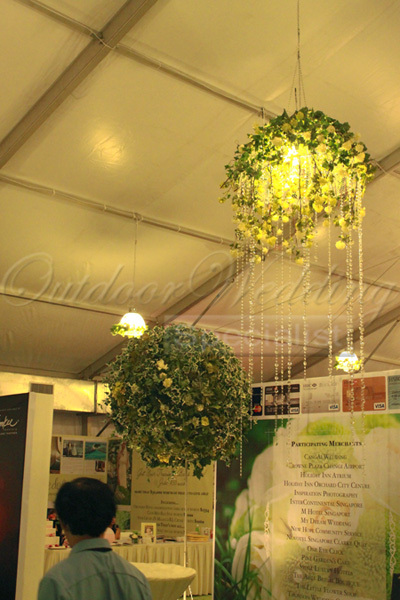 Over 2,000 couples thronged the 3-day event scouting for fabulous wedding packages and deals that may not be available on usual days. 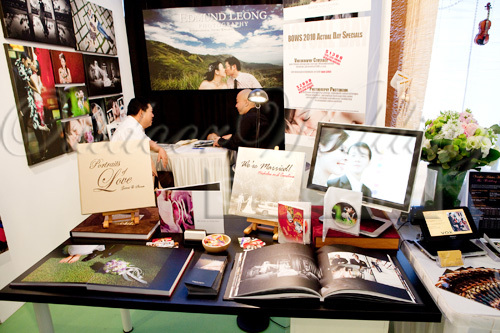 Held from the 26th to the 28th of February 2010, the event raked in about $1.8 million in sales with the exciting variety of wedding packages on offer. 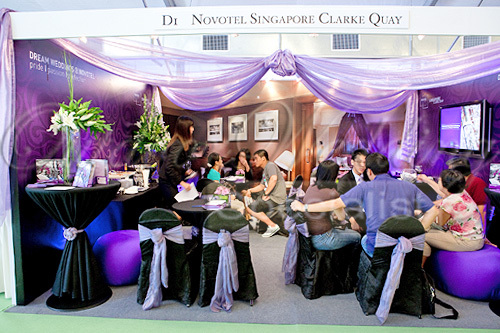 Packages from hotels like Novotel Singapore, Orchard Hotel, Amara Hotel, Crowne Plaza, M Hotel, Grand Mercure Roxy, Holiday Inn and the Intercontinental drew in the crowd. 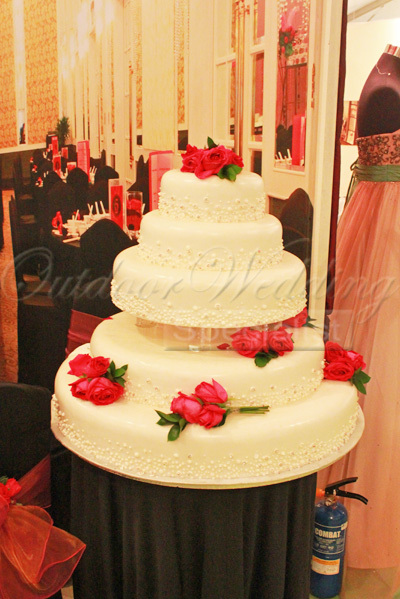 Wedding-related items that included romantic lingerie and intricately designed wedding cakes were also hot items at the show and were snapped up or ordered right there and then. 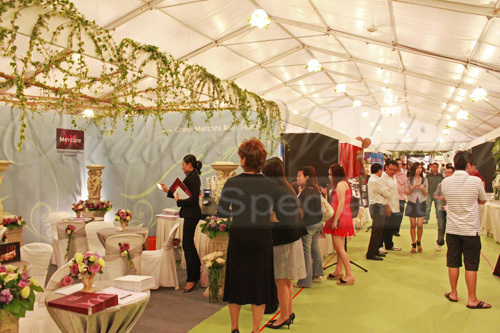 Bridal de Couture, Kooshi, La Belle, My Dream Wedding, Nirwana Resort, Pine Garden Cakes, Tung Lok Millenium, Sentosa Golf Club, One Eye Click and Thomson Wedding were also some of the featured merchants at the show. Attracting the new generation of media-savvy mid-income range couples, most of the couples we talked to told us they got to know BOWS 2010 through our online advertisements and websites. Kudos to the power of the internet, and be sure to check out ows.com.sg for more of our informative articles and outdoor wedding promotions that are always value for your money! 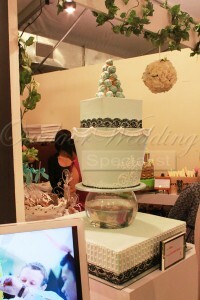 See you again at the next Blissful Outdoor Wedding Show 2010 later this year! Hey i missed this… When is the tentative date for the next one? 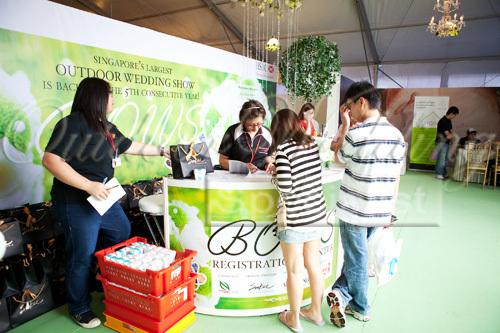 The next BOWS will be held on 14-16 Jan 2011 at Dhoby Ghaut Green!